Tis the season to be jolly fa la la la la, la la la la. We're in the middle of the holidays and Christmas is approaching, there's a relaxed atmosphere in the office as most people are clearing leave, thinking of year end parties and planning secret santa gift exchanges, which remains me I must find a good day to pop out at lunch to buy my gift for D-day this Friday. For those of us still in the office, its all work work work, there's still shows to perform, visitors to entertains, events and programmes to prepare for, even surfing the internet and this blogpost is work related...-gives oneself pat on back for working so hard-... Although I probably would be on leave now if I hadn't used it up earlier in the year. Anyways back to work.... at SCOB there's alot of planning to be done. We're currently working on developing a planetarium programme for our friday night stargazing using our new inflatable STARLAB planetarium, which requires further testing but will probably be ready early next year. Stargazing on Fridays has been severely limited by the rain. 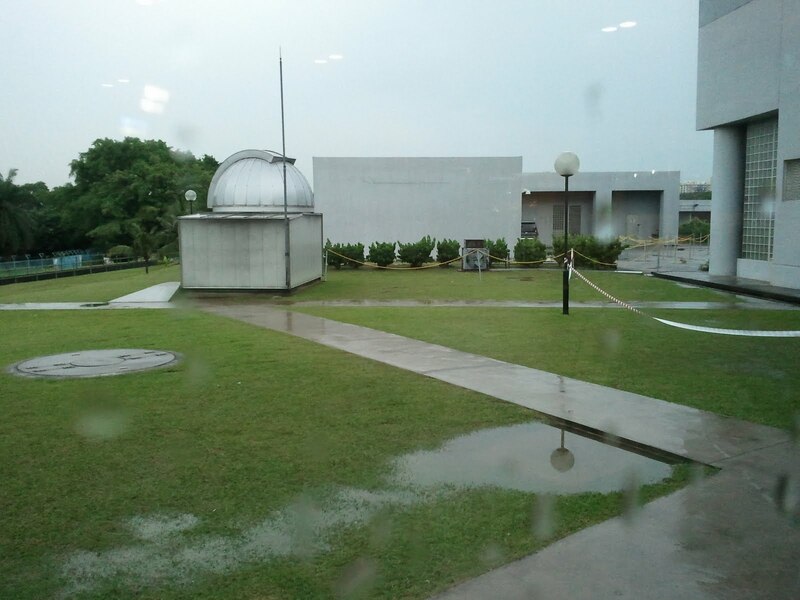 December is actually great for stargazing as there are several bright constellations and interesting objects around, its just unfortunate that this period is one of the most cloudiest and rainiest in Singapore. It was a similar story last month, especially during our big event "The Festival Of Stars" held on the eve of the Hari Raya Haji holiday on 16th Nov. A few thousand people turned up expecting a look at Jupiter through the many telescopes provided by TASOS and SCOB and hoping to stay overnight to witness the shooting stars of the Leonids Meteor Shower. The observatory and stage area was literally flooded. No stars or meteors visible on this occasion. 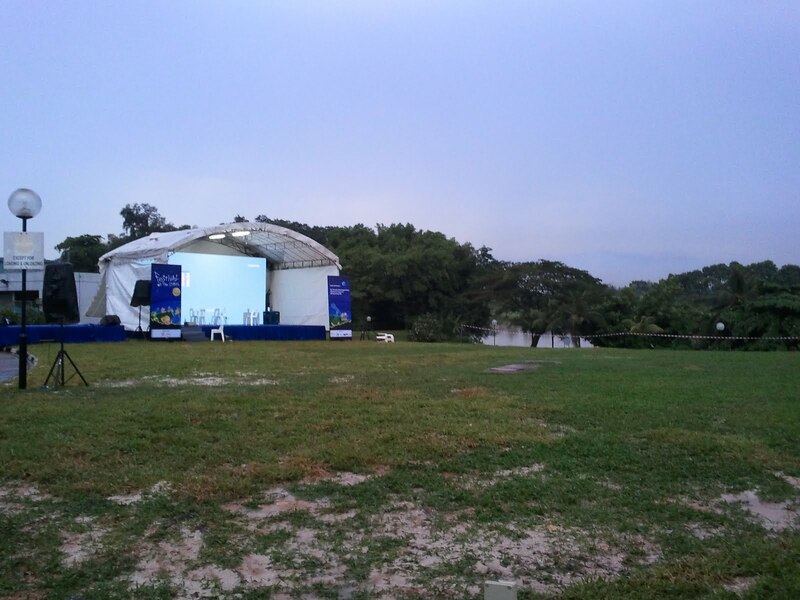 However, it was decided that the show must go on, as all the outdoor festivities, performances and movie screenings were moved to the indoor auditorium at the Annexe Hall 1, the Science Centre Exhibitions were also opened for all. At the SCOB, things remained rather quiet, with just a handful of families remaining to participate in the arts and crafts activities. Only thing left for scobbers to do was to regrettably inform new arrivals of the wet weather and usher them to the galleries and annexe auditorium. We also put up a temporary sign to help guide visitors along and reduce the amount of times we had to repeat the information. Now dare I say that there is another meteor shower coming this December, in fact its happening this very weekend. The Geminids Meteor Shower peaks around December 12th & 13th every year. This year is supposed to be a pretty good one as the Geminid Meteors are expected to be brigther and more numerous than meteor showers in previous months. Having said that, its best not to get your hopes up. Remember, watching any meteor shower in an urban environment like Singapore will yield a relatively low number of shooting stars. Whereas the expected number of Geminids is supposed to be 40-60 meteors per hour, you are more likely to see one or two per hour, somemore its rainy season so expect more rain than meteors. SCOB we will not be organising any event for the Geminids. For those who wish to view it from home, it is best seen on the evening of 12th December between 12am and 5am (which technically is early on 13th Dec). Meteors will originate from the North-East direction and can travel in any direction (up, left, right). If you do manage to see any meteors let us know how many and where from. This Friday 10th Dec on Friday Night Stargazing we'll also be giving a talk at 8:15pm, giving more information on the Geminids and other meteor showers. Merry Christmas Ho Ho Ho!! !